It's sensational; I can't believe it. I didn't get any sleep last night. Lindsey was stalking behind me, and she ended up first. It was just amazing. 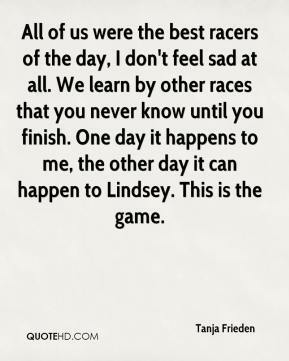 You are never sure until you get to the very end, and this is something I have learned in races. 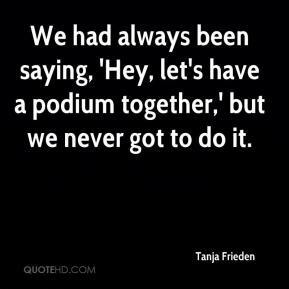 We had always been saying, 'Hey, let's have a podium together,' but we never got to do it. I don't feel bad or sad about it. 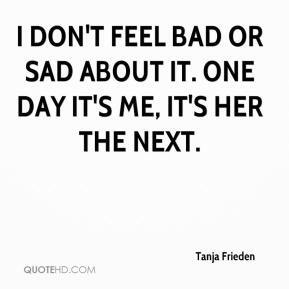 One day it's me, it's her the next. 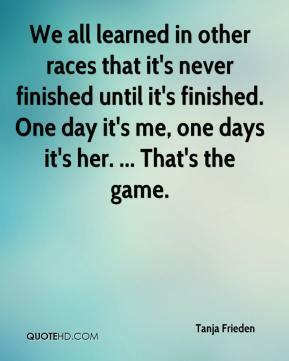 We all learned in other races that it's never finished until it's finished. One day it's me, one days it's her. ... That's the game. I was stoked he did well (Thursday). We always say let's have a podium together. To do it here is wicked cool. All of us were the best racers of the day, I don't feel sad at all. We learn by other races that you never know until you finish. One day it happens to me, the other day it can happen to Lindsey. This is the game.